​Papua New Guinea Supreme Court has ruled that the Regional Asylum Processing and Detention Center on Manus Island, is against the Constitution of Papua New Guinea, and must be shut down immediately. Five judges of the Supreme Court made the ruling this afternoon. The center was established in 2012, following an agreement between the Australian and PNG Governments. The facility currently house close to 1000 asylum seekers. Former Opposition Leader, Belden Namah, challenged the establishment of the Detention Center, asking the court to rule that the Memorandum of Understanding signed by PNG and Australia is un-Constitutional and should be scrapped. The Supreme Court ruled that the center is un-Constitutional, ordering that its operations be stopped right away. 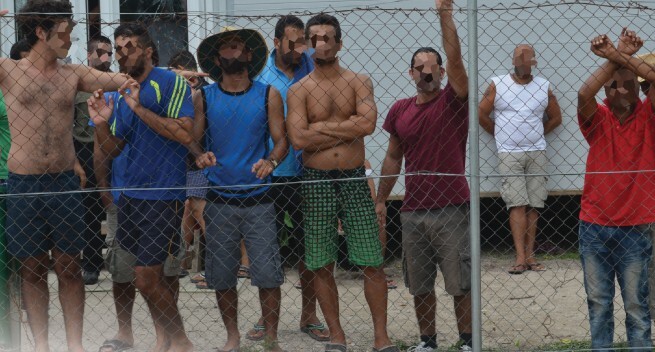 Constitutional Lawyer, Loani Henao has described the set up of the asylum seeker Processing centre as "disgraceful." Mr. Henao says the agreement to establish the center was not for the benefit of Papua New Guinea and its people but for Australia. He says PNG's Constitution must be respected at all times and not amended to benefit others. "The Constitution of this country belongs to this country. "It does not belong to the government of Australia or any foreign countries. "The government of this country must always respect the Constitution of this country. "It is the people's document. "It is the people's law, that the government of this country, whether it is the government of today or government of tomorrow or the government of future years," Mr. Heano said.